Heico Construction Group invites Gr. KC NAWIC Ch. #100 to a special networking event on Wed., April 10, 2019. 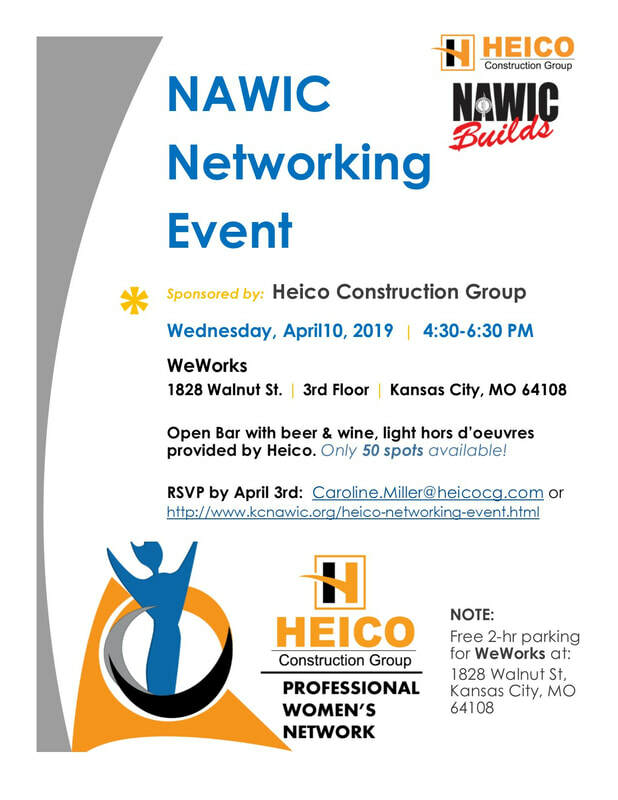 Heico is holding a conference for their professional women's network and would like to include KC NAWIC members for a networking event with beer, wine and light hors d'ourves. Please use the form below to RSVP by April 3rd or email Caroline.Miller@heicocg.com with your reservation! Submit Your RSVP By April 3rd!